"We all live with secrets, some we can control, and others that are completely out of our hands. For me, the secret that suddenly catches me off guard is not a secret the common person could ever handle. 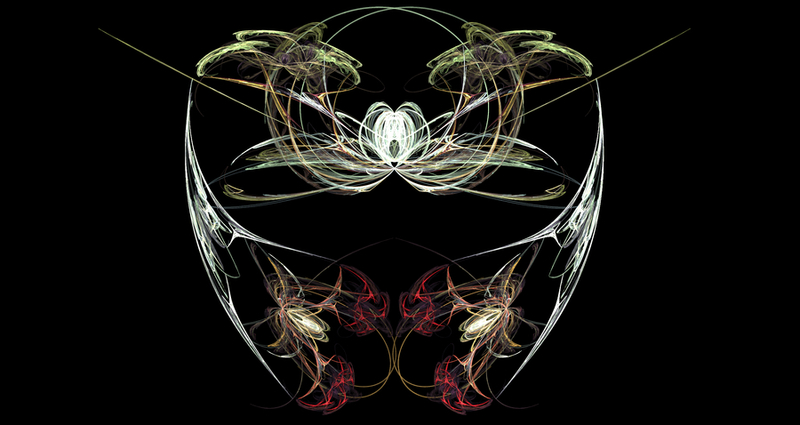 It is a secret that quakes my world in so many ways that I still can not wrap my mind around it. I am sure you are all very confused now, and curious, beyond words, to find out what this earth shattering secret might be. I have to start from the beginning. I have to go through every life changing call in the past few months to paint a clear picture. 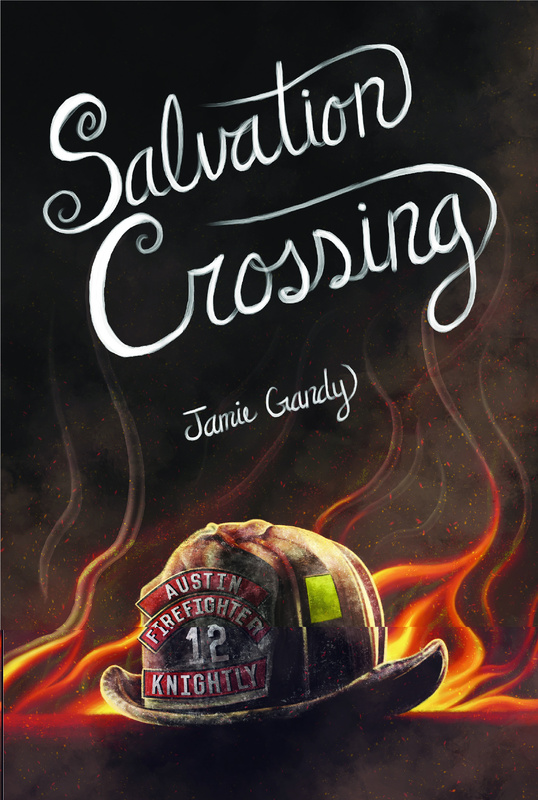 Oh, I forgot to mention, I'm an Austin Firefighter...."
"SALVATION CROSSING" was written by Jamie Gandy in November 2013 during the National Novel Writing Competition. 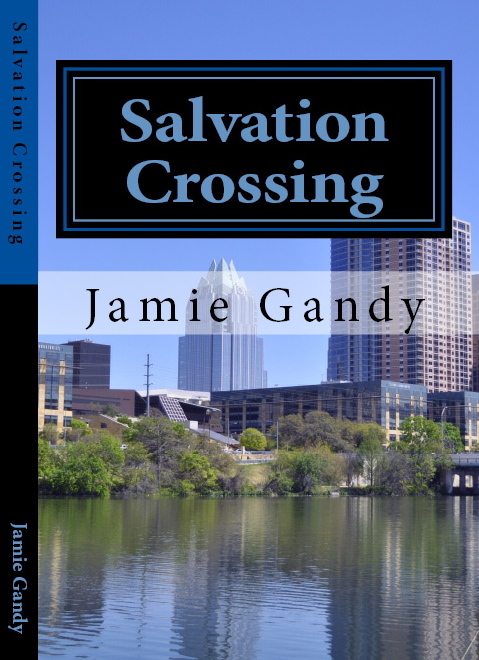 This is Jamie Gandy's third published book. 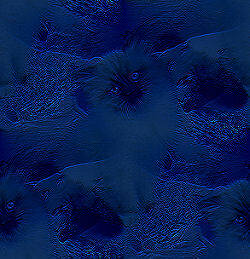 CLICK HERE for front & back cover in pdf file. Riveting. A wonderful story of a life well-lived and the power of one, if only. Also a beautiful picture of redemption. Salvation Crossing is overwhelmingly intense. Everyone of God's creatures are empowered each day to make a difference. Just as the stoic German Shepherd has a choice between protection, intimidation, loyalty, compassion, love, or a combination of many of these, we too are concieved within a room having many doors to open. Salvation Crossing is built on a foundation of faith. One page you are on an impeccable journey of feeling alone with no where to turn, the next page surrounds you with the love, compassion, forgiveness and true salvation of a life well lived once you understand God's plan for your existence both on a physical and spiritual level. Salvation Crossing is very emotional with a powerful message. Amazing story and I love love love it! I am amazed at this awesome fiction story written by my youngest daughter. I re-read the story when it came in book format. After finishing the book my mind wondered "Where did my daughter get the brilliant character development and captivating words written in this story?" Then I remembered the countless hours that Jamie spent at the Texas State Capitol in July 2013 during the House Bill 2 debate. Jamie was taking photographs, videos and listening to the numerous speeches and testimonies from women that had been hurt by abortions. God has inspired all of what she learned and captured it in to one of the best books that I have ever read. I hope the pages of 'Salvation Crossing' has touched your life. I pray that it has made you think about the lasting effects that abortion has on women and men all around the world. By no means was this an easy book to write, it constantly challenged me and took me down roads I never intended to go down. Impossibly hard roads. But I know that if God touched one life, if He changed just one woman's mind from abortion because of this book then I count it all worth while to have struggled down the challenging roads of this novel. No matter how hopeless or how impossible the situation, abortion is never your only choice. There are people out there willing and able to help you choose the glorious path of life for your baby. you have beautiful options that don't have to end in the death of your child. Please do your research on PRC's in your area, get in contact with them. Adoption is another beautiful and loving option of saving the life of your child. Even if you don't have the means to raise your baby there are great loving couples out there that are eagerly looking to adopt.